The parameters you need, without the features you don't! 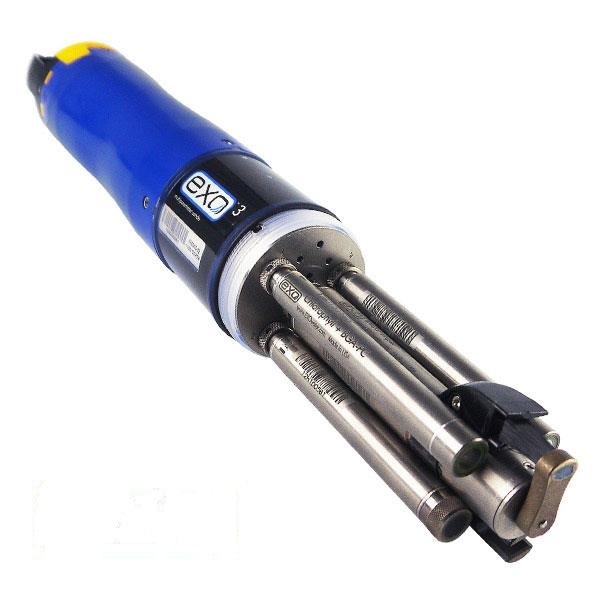 Offering the greatest value of any sonde available on the market, EXO3 combines the maneuverability of the EXO1 with the powerful antifouling wiper of the EXO2. EXO3 is a purpose-built sonde for monitoring major water quality parameters, including: pH, conductivity, temperature, turbidity, and dissolved oxygen. spot sampling with a lighter, shorter form factor. including Total Algae, fDOM, and Wiped Conductivity & Temperature. sensors for up to 90 days in the harshest conditions.